With rich industry experience, we are presenting our clients an astonishing range of Crompton Greaves Fans. Our product range consists of Ceiling fans, Portable fans, Specialty fans and Exhaust fans, which are available in various specifications, attractive designs and eye catching colors. 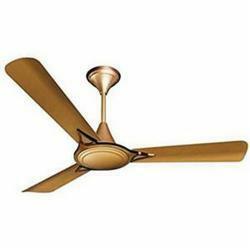 Our clients can avail these fans at leading market prices.